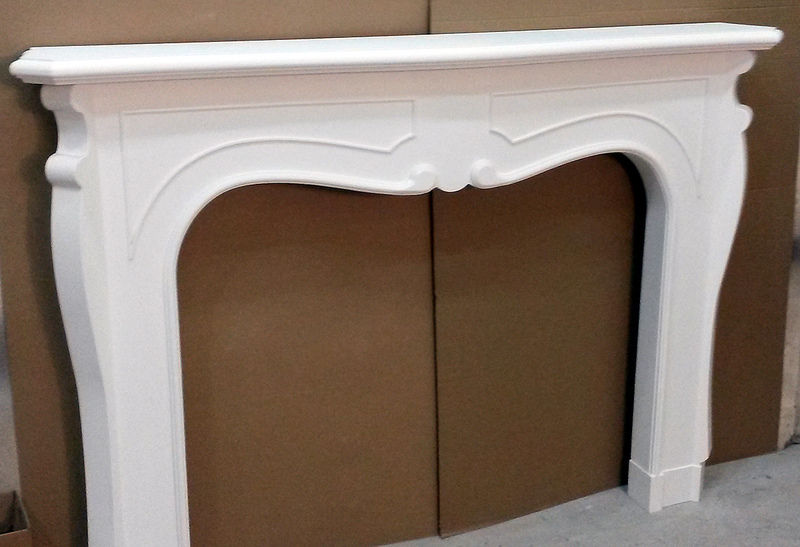 White fireplace surround. Traditional style with applied molding and appliques. This sets around the fireplace and is attached to the surface.